We don’t get too many birthdays at the farm, so this one was special. Doug, who is nearing 70 and showing no signs of slowing down, was treated to a very tasty chocolate flat cake prepared by Mrs. P.
After a brief twelve minute speech, Doug was ceremoniously sung an off-tune rendition of “Happy Birthday” by the gang. 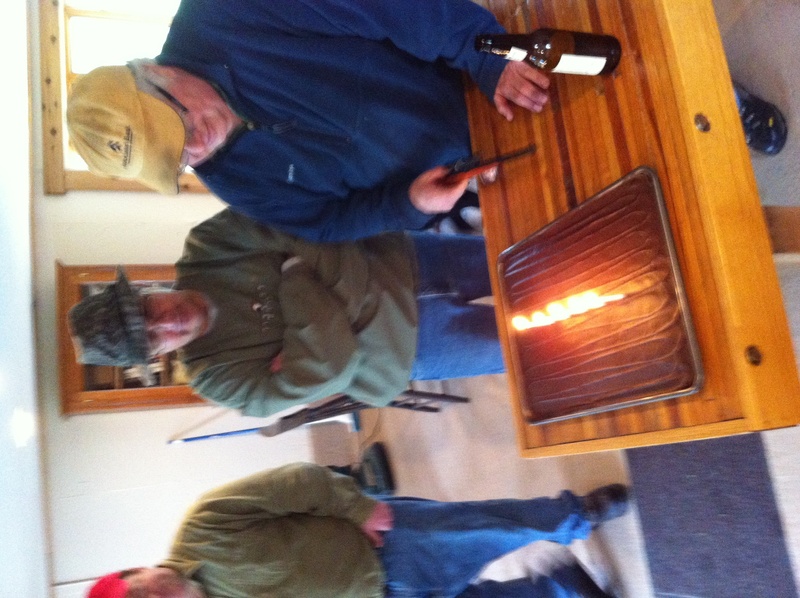 In this photo Doug is saying, “Hmmm, great cake, but 5 candles and a half-gone beer? C’mon, Man! I may be old but I can still blow with the best of ’em.” We’re not sure what Doug meant but at least he didn’t spit too much on the frosting.